A Month of Beautiful Giveaways is a very special feature here on The Beauty of Life! 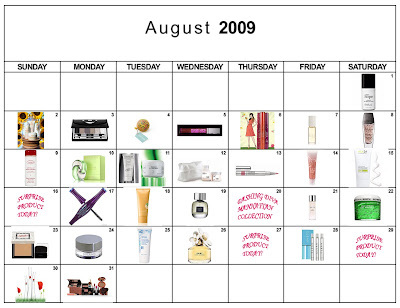 Throughout the month of August, we will be giving away an array of unbelievable beauty prizes from some of our all-time favorite brands. Check back for your chance to win each day! The art lover in me always appreciates a good makeup palette. And in the case of the Dior Jazz Club Palette, this is one of the best. Not only does it contain six gorgeous eyeliners and eyeshadows of various mattes and shimmers, but it has a huge mirror (perfect for quick touchups). The liners and shadows all fall into the neutral range of golds, browns and beiges that are perfect from day to night. And they're housed in the most fantastic little black clutch with a signature crystal-bedecked turnlock detail at the front. Seriously, it just doesn't get more chic than this. And one lucky winner has the chance to receive one free! 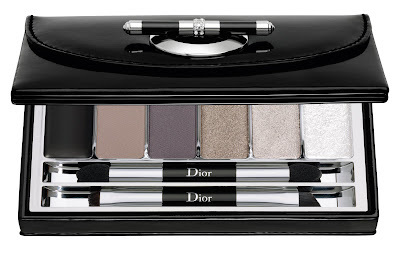 This prize is valued at $65 -- not too shabby for a makeup palette from Dior, n'est-ce pas? Entering is easy. Simply enter your name and email address in the box below. The winner will be selected on Tuesday, August 4 and notified by email. It's that simple! This giveaway is open to US residents only. Giveaway runs until Monday, August 3 at midnight. One entry per person, email address and IP address. Multiple entries will be disqualified. I LOVE THIS DIOR JAZZ CLUB PALETTE! It has the best colors I have ever seen and Dior just makes the best eye shawdows that not only look fabulous, but stay on! I want to win it more than words can say. To be fair to everyone else>>>It was very difficult to find the contest today and to make the entry>> I am sooooo obsessive about having a chance to win, that I hunted it down.